The people of the United States of America are incredibly blessed to have religious freedom, and as far as our government is concerned we are free to worship as we choose. This freedom as well as an acknowledgement of God goes back to the foundation of our great country. The Declaration of Independence refers to a Creator. Note the uppercase “C” represents a proper noun; there is no doubt that this is referring to God Almighty, the Creator of the Heavens and the Earth. This document makes its appeal to the “Supreme Judge” of the world; again reflecting the belief in one being, the ultimate and just judge. The United States of America was founded by people and principles acknowledging God and His laws as authoritative. Psalm 33:12 refers to nations being blessed when their God is the Lord, which I think is a great verse to reference on the National Day of Prayer. Would you join me in prayer through portions of Psalm 33 in observance of The National Day of Prayer? God we sometimes act like we do not fear you; instead we should be in awe! God, your word created this earth and its inhabitants. For this you deserve our praise. Our plans are nothing without you God. Your wisdom Lord lasts forever, ours is temporary. Lead us God with your wisdom. We invite you into our lives and we ask you to become our God, the God of our families and this nation. God show us the way to put you back on the throne of our lives and of this country. We recognize God that no matter how hard we try, no matter whom we elect, no matter how strong our army is, only you can save us. You are our strength. 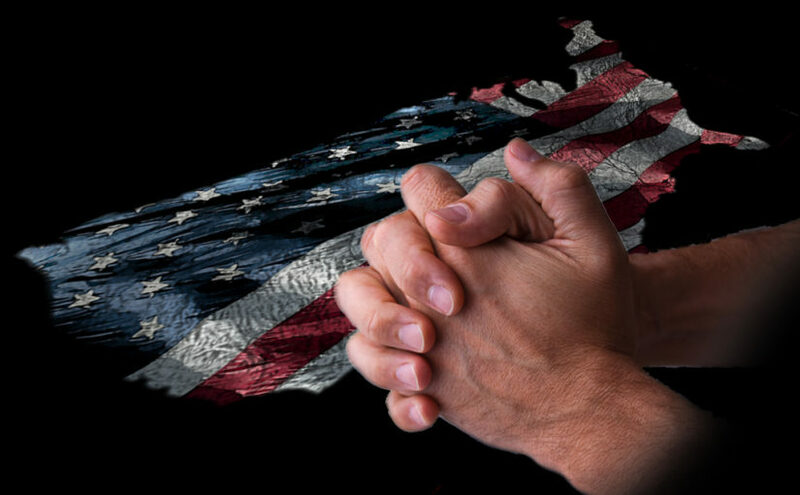 Father God, we recognize that our nation is struggling in many ways, especially in this election year. There is dissension among the people of this country, in part because we have strayed away from honoring you as our God. Without you we would have nothing. We thank you for the truths and principles that this country was founded upon. We thank you for the many men and women who have served this country in various forms to defend our freedom and values in a way that honor you. We ask today a special blessing on the 2016 National Day of Prayer and on those who are leading and organizing it. Would you miraculously intervene through this day of prayer and touch the lives of millions of people? We ask that millions of Americans “wake up” to your call. Thank you God, you are so good. Amen!